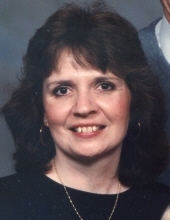 Deborah Lynne Gess, age 68, of Lancaster Twp., passed from this earth and into the arms of Jesus on Wednesday, February 6, 2019 while under the care of The Grove at Harmony. Born August 27, 1950 in Pittsburgh, she was the daughter of the late Gordon F. Goerman and Louise A. Eakin Goerman. Debbie loved animals of all kinds. She enjoyed arts and crafts, cross stitch, music and games. Debbie had a great sense of humor, enjoyed laughing and playing practical jokes. Debbie leaves behind to cherish her memory her husband of 40 years, Robert B. Gess Jr., whom she married on September 23, 1978; her children, Traci Gess and Joshua Gess; her sisters, Barbara Burke and her husband, Jack, of Ross Twp., and Jayne Smolka and her husband, Tom, of Zelienople; and her nieces and nephew, Lauren Smolka, Kristen Cain, and her husband, Jeremiah, and Matthew Smolka. Friends will be received from 2 PM until the time of the funeral service at 4 PM on Saturday, February 9, 2019 at the Boylan-Glenn-Kildoo Funeral Home and Cremation Svcs., Inc., 130 Wisconsin Ave., Cranberry Twp., PA 16066 with Pastor Reid Moon, officiating. Debbie will be laid to rest at the Westmoreland County Memorial Park in Greensburg. In lieu of flowers, donations in memory of Debbie may be made to Butler County Humane Society, 1015 Evans City Rd, Renfrew, PA 16053. To send flowers or a remembrance gift to the family of Deborah Lynne Gess, please visit our Tribute Store. "Email Address" would like to share the life celebration of Deborah Lynne Gess. Click on the "link" to go to share a favorite memory or leave a condolence message for the family.